I'm having a hard time wrapping my head around how fast summer is going. It feels like it just started yet we're somehow nearly halfway through (thanks, never-ending polar vortex). Usually, I can enjoy the slow tapering out of summer before I realize the colder temps are really upon us, but this year I'm on a deadline with a long trip home followed by the start of fashion week about 36 hours after I return, and before I can even wrap my head around it, it'll be the end of September. 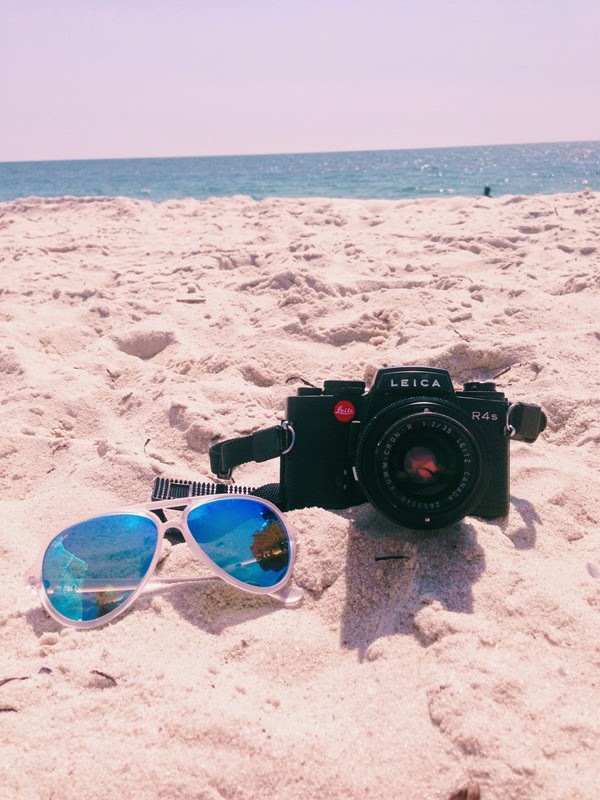 So, in the spirit of not losing sight of the rest of summer—and what a wonderful one it's been so far—and partly inspired by Jessica's Summer Bucket List, I decided to pull together a few things I want to do while the mercury's still hot, before I become a hermit in the winter. This one is high on my list—because when you come across instagram images of popsicles in prosecco, it's like an unspoken commandment that you find them and consume one of each flavor. 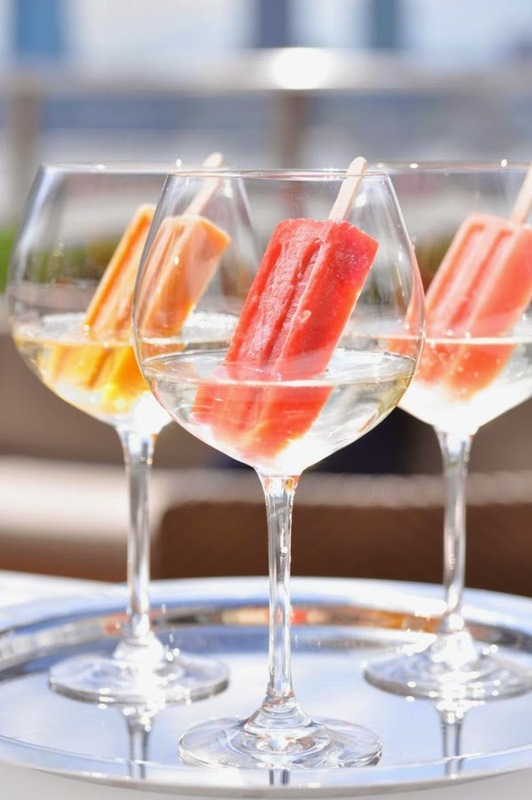 Coupled with the fact they're served at a rooftop bar (at the Conrad Hotel in Battery Park), it checks two things off my summer to-do list—booze soaked popsicles and a bar with a view. I actually had plans to go a few weeks back but, as has been the case lately, a nasty storm rolled in just as I was leaving work and we ended up at a speakeasy with no windows instead. There's still plenty of time to go back, and Loopy Doopy has partnered with People's Pops out of Brooklyn to rotate the flavors every month this summer! 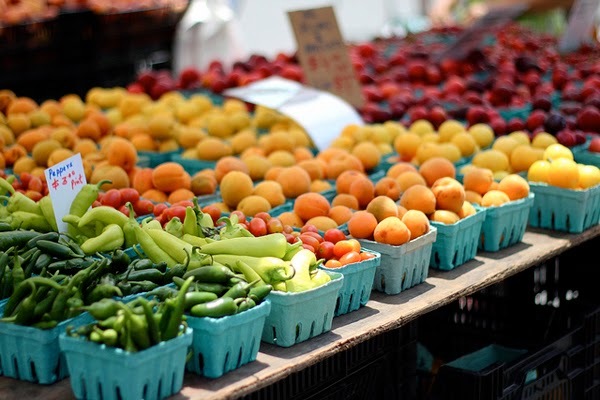 I grew up with one of the best farmers' markets (#2 on that list! ), making the one here have to do a little work to fall into favor with me. While the selection of produce at the Union Square one isn't quite as gigantic as what I can find back home and is severely lacking in sweet corn come fall, it's definitely grown on me over the last few years. The market is open Monday, Wednesday, Friday and Saturday each week, but until recently I'd only ever gone on Saturdays when it's usually jam-packed with people and picked over (just like the one back home, but we would get up and go at about 6:30a when we wanted the good stuff). I happened to walk through while it was nearly empty this past Friday on the Fourth post-Soulcycle and got so distracted looking at the yummy produce that I went to the ATM so I could stock up on fresh produce and dairy for the week! It's not far from my office, so I'm planning to drop by during the week more often. Alright, so this one is only sort of going to happen in the summer for me, but after another recent instagram discovery and the realization that it's barely an hour away on the Metro North, it's become a priority this year. 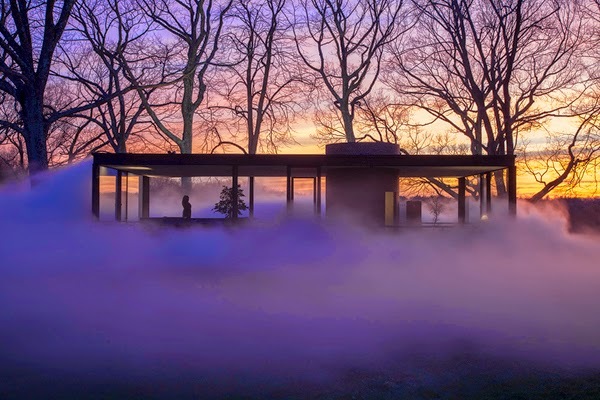 The Glass House has a storied history, designed by Philip Johnson and used as a weekend retreat for himself and his partner, David Whitney, for nearly 60 years. There is an accompanying guest house entirely in brick with just three windows and a skylight; the 49-acre grounds also hold various other structures including a painting gallery and sculpture gallery. This year they're also featuring an installation by artist Fujiko Nakaya, pictured above, surrounding the house in a swirling, surreal fog. It runs through November and there are different kinds of tours available on different days (see the full schedule here); the Metro North train station is right across the street so transportation from the city is easy! One of the reasons I moved to a coast was to be as near to an ocean as possible, even if that ocean is too cold for me to do so much as put my toes in the water eight months of the year. But, I think if I loved water any more than I do now, I'd be fish instead of human. There's something about the crashing of the waves that soothes my soul, and diving through the (out here at best, lukewarm) water quiets my mind like nothing else can. So far this summer, there's only been time—and weather—for one, but newfound summer Fridays means I'll be heading straight to the beach after work this week. While it's easiest to get to Rockaways via subway, I actually prefer Jones Beach out on Long Island. It's about an hour drive from Queens, which we easily made several times last year before my friend's car, affectionately known as the "beach mobile," gave out on us over the winter. I'm keeping my eyes peeled for cheap Zipcar days so we can make it back a few more times this year. It's much quieter and more spread out at Jones and you get to avoid the loud kids and visitors—any sort of activity without tourists always gets my vote. Saving the best for last...Joseph Leonard! Easily my favorite brunch spot in the entire city—it's intimate without being poorly lit or too small, near the West Village (which makes for great wandering post-brunch), across the street from a puppy store (which is a great place to kill time if you have a 30-45 minute wait) and the food and drinks are incredible. I've heard they do a killer dinner, too, but I've yet to actually make it there at night. I know, I said this was a list of things I wanted to do for summer and I've clearly visited many a time before, but it's been several months since my last visit and there's really no better way to spend a summer Sunday (unless you're at the beach, of course). 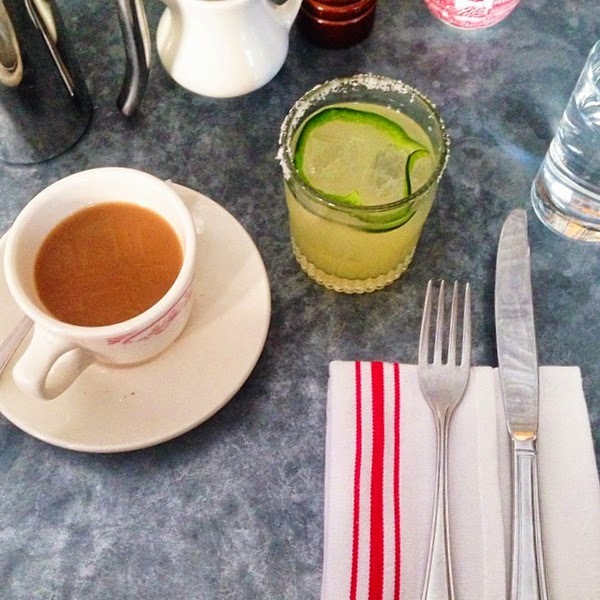 My favorite things to order are a mini-French Press, a Magdalena (the drink pictured here), avocado toast with scrambled eggs, and occasionally a side of brussels sprouts! I need that Prosecco/popsicle combo stat! The summer really does go too fast! I feel like we need two summers a year, or something. I hope you get to cross everything off your list, or at least come close to it before september rolls around again. Oh my, I want the popsicle in prosecco right now! Lovely photos.